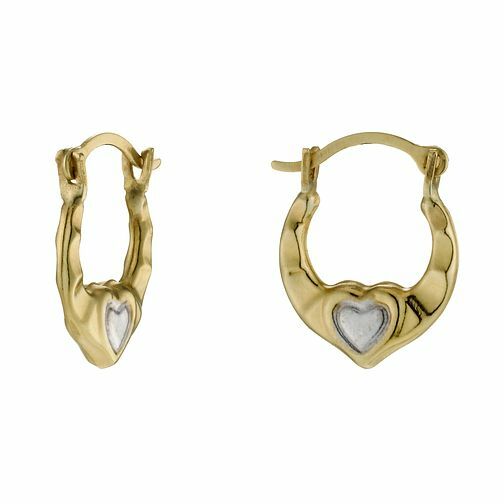 A stylish pair of children's 9ct gold creole earrings, featuring a pretty rhodium-plated heart. Perfect for any style conscious youngster. 9ct Gold & Rhodium-Plated Children's Small Creole Earrings is rated 3.5 out of 5 by 4. Rated 3 out of 5 by Anonymous from So tiny I didn’t expect this earrings to be this small even though it says children’s earrings. I would not recommend for children over 2 years old as it looks so small on my 3 years old daughters ears.